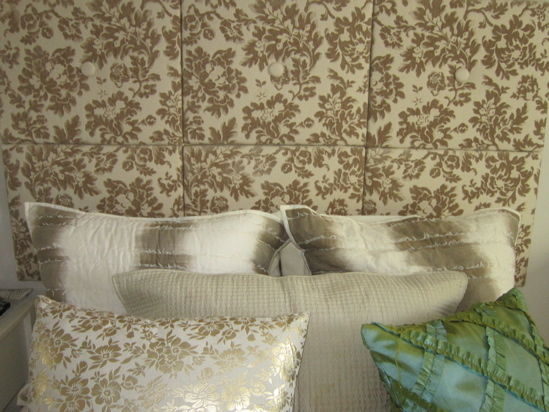 I love upholstered headboards so a few years ago when I was home for the holidays I enlisted my parents in helping me make one for my bed. I used six individual art canvases and it was relatively simple other than me choosing a fabric with a print that had to be matched up on each individual piece. Luckily my dad is an engineer so it was like a puzzle for him to solve. I was so happy with the finished product and know I will keep it in my home for years to come. LOVE that DIY. I would love to learn to do something like that! I am very fond of pink color so I used pink headboard for my bed. My rooms have a pista green color paint. 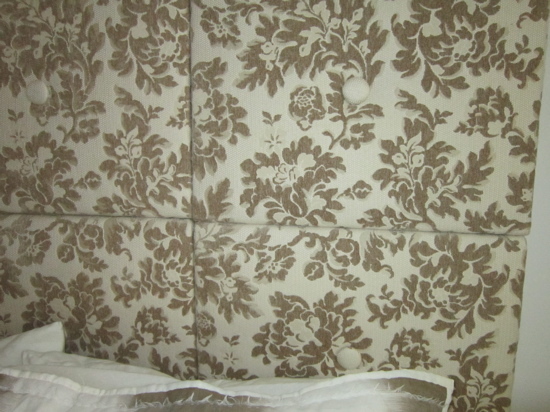 Both these cloors look great together and most of my friends who visits my home just love the bed headboard that I have and give compliments that it’s so unique and elegant. 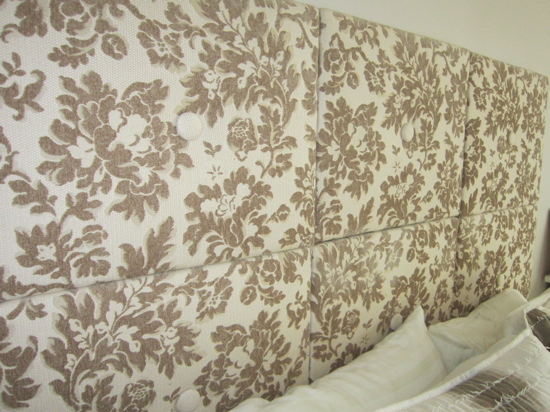 Upholstered headboards are so pretty! Yours came out great! We thought of givnig a make-over for our bedroom, first we changed the creme wall paint of the bedroom and gave a refreshing pista green color for it. We wanted to change the bed, but we couldn’t afford to buy one, therefore we changed the headboard, my bedroom looks so fresh and stylish now. Oh my gosh, this is brilliant! 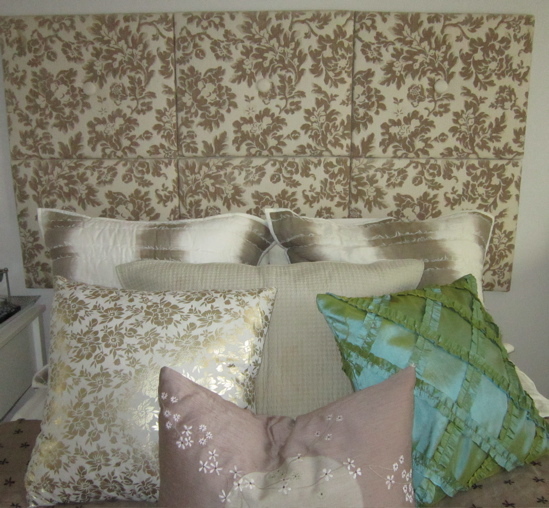 And it was probably much more affordable than buying an actual headboard. Nice work. I’m impressed!